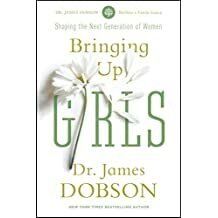 This is a must read for anyone with a daughter of any age. Loaded with statistics, studies, anecdotes, common sense and biblical content – it is a wealth of helpful information. Everything is covered from the physical attributes of various stages of growth, to promoting emotional and spiritual well-being, to hard cases of abuse, to how to deal with the positives and negatives of technology and social media and much more. Excellent resource for parents.